With more than 70 years of industry experience, Amada Machine Tools America is committed to helping our customers deliver dependable service and top-quality work with exceptional grinding and sawing solutions. 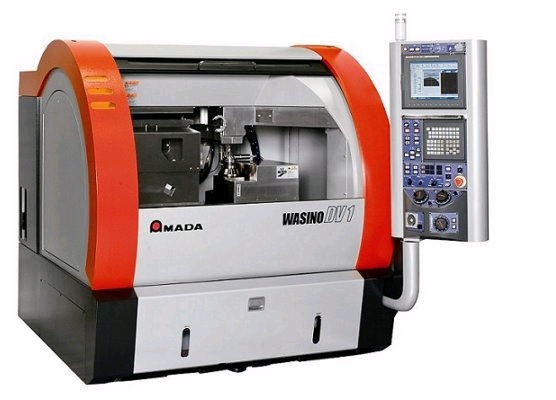 Since we began building machine tools many decades ago, our goals have always been to provide our customers with increased accuracy and productivity. Throughout our history, we’ve maintained our time-honored tradition of hand-fitting our solutions to deliver the ultimate in quality and precision. And, as technology has evolved, we’ve embraced CNC automation as a core strength, improving throughput and helping new operators become productive more quickly. Today, combining the legacies of Amada Cutting Technologies and our Grinding Business unit, we are uniquely positioned to help you expand your capabilities and grow your business maintaining our philosophy of “GROWING WITH OUR CUSTOMERS”. JBM's integrated solutions can give you a competitive advantage by helping to improve your manufacturing operation. Contact us today to learn more.